Relax and unwind in an exquisite yellow cedar log home nestled in the peaceful Pemberton Valley and 25 minutes from the world class ski resort of Whistler, BC. 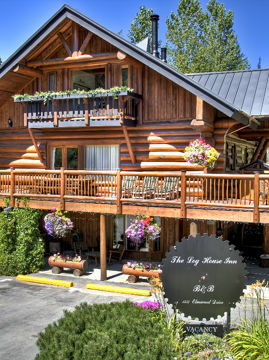 The Log House B&B Inn is your luxury 4-Season destination in the Whistler and Pemberton area offering stress free pampering at great value. A relaxing vacation for an easy getaway, whether you are tight on time or can indulge. Family groups will create new memories and share precious ones in our large guest living area. 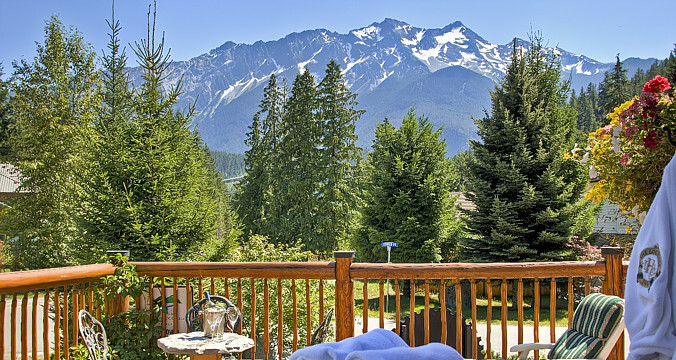 Explore our Pemberton Inn / Bed & Breakfast with our photo and video galleries.